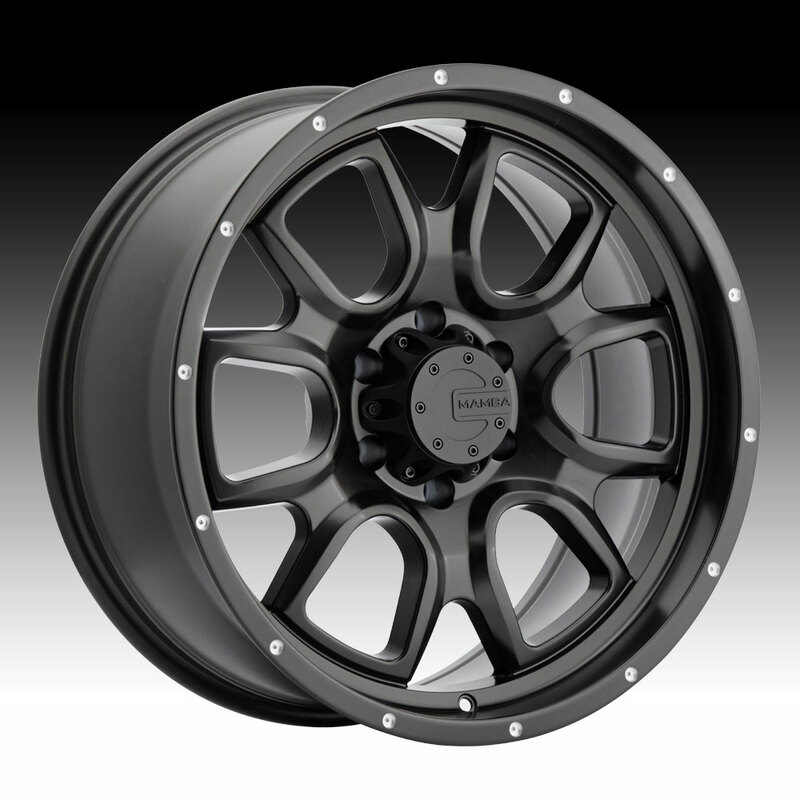 The Mamba M19 matte black wheel is available in 15x8, 16x8, 17x9, 18x9 and 20x9 sizes. 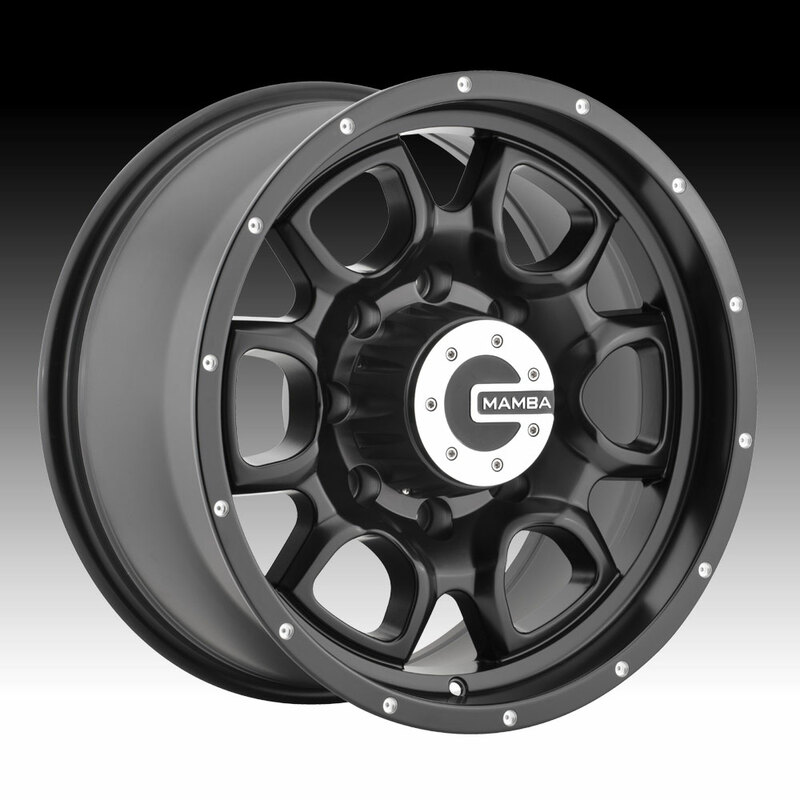 Standard, aggressive and lifted truck fitments are available. Free shipping on all Mamba M19 wheels. Free lugs and locks with the purchase of a set of M19 black wheels.